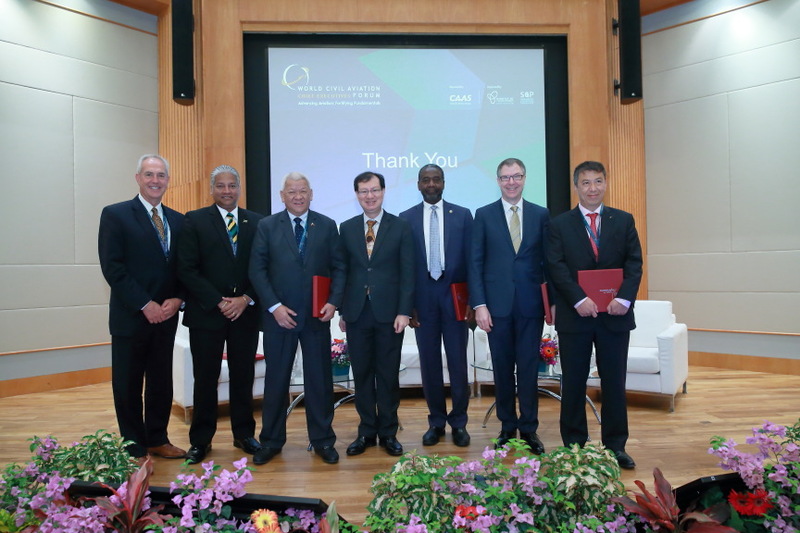 Recently, I had the opportunity to address aviation experts at the 6th World Civil Aviation Chief Executives Forum in Singapore. This forum is a unique gathering of aviation leaders who meet to discuss the latest developments and issues affecting the global aviation industry and to exchange experiences, insights, and ideas. I spoke on a panel with colleagues from safety agencies across the world. 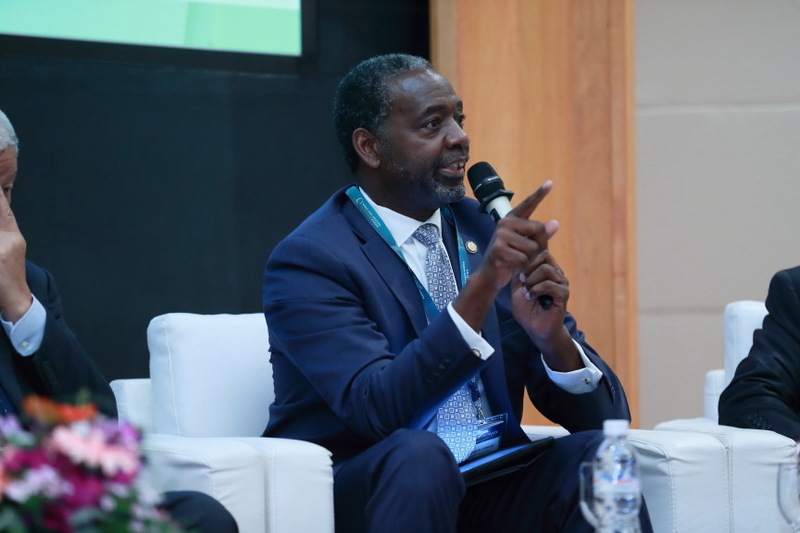 Our topic was “Ensuring Oversight, Rethinking Safety.” We discussed the future role of safety regulation and the challenges facing safety management as the field continues to grow and develop. I was honored to share my thoughts on this topic because my entire career has been focused on improving safety, both as an investigator and manager with the NTSB for nearly 40 years and as a pilot. Looking at the progress we have made in the world of commercial aviation here in the United States, one might say we have reached our pinnacle. Aviation is now the safest it has ever been, and we are experiencing a period of zero fatalities in the commercial sphere. But we must not get complacent; we must continue to grow and learn. Although the aviation industry can share among itself the challenges we have overcome to improve transportation safety, we can also learn a lot from other modes of transportation, as well. For example, in rail, companies are installing in-cab video to monitor operator and crew behavior and to develop best practices to improve safety; aviation could—and should—do the same. At the same time, as more driver assistance technologies are installed in vehicles of all types, and fully automated vehicles are already being tested, the highway community could learn from aviation’s experience with using automation within its operating environment. Avoiding complacency means keeping your eyes open, receiving and sharing information, and always being ready to respond. As a multimodal investigative agency, we have seen too many ways in which disasters can occur, and some have involved complacency—becoming too bored or familiar with standard operating procedures, which leads to a lack of interest or desire to follow the established procedures. By issuing safety recommendations, such as those focused on procedural compliance, we try to urge operators to avoid this risk and a subsequent tragic outcome. Safety is a journey, not a destination. Although, we are seeing zero fatalities in commercial aviation, our general aviation community is still suffering losses every day, sustaining nearly 400 fatal accidents a year in the US alone. Why? We must keep asking the questions and seeking the answers to bring this number down to zero. The NTSB does not issue regulations; we are focused on solving the accident mystery and issuing appropriate recommendations to improve safety and prevent future incidents. Regulations may be one way to do this, but we have always understood that safety goes beyond rulemaking. One tool we use to call attention to the issues we can all act on is our Most Wanted List of transportation safety improvements. The Most Wanted List keeps us focused on our key safety priorities and is one way to avoid complacency on those most important live-saving issues. Despite how many regulations are in place, if an operator or individual doesn’t embrace safety, there is always an increased risk for an accident. To continue the progress we’ve made, to ensure a safe transportation system for the traveling public, we must admit our own responsibility and role in improving safety, and we must work collaboratively: investigators, engineers, CEOs, pilots. Safety can only be achieved through worldwide collaboration and a continued invested interest in learning, growing, improving, and saving lives. I’m a transportation geek. It’s an odd niche, but I’ve decided to own it. I’m also a fan of the latest-and-greatest when it comes to technology. I normally can’t afford to be an early adopter, but I keep an eye on things and jump in when the tech has started to prove itself. This is how many vehicle manufacturers look at transportation safety technology, as well. They may develop a piece of tech, do tons of tests on it, and then roll it out on limited, trim levels; applying it first only to high-end models. That’s great for that new widget that makes the windshield wipers automatically kick on, but some things, like safety technology, need to be on all vehicles, not just on the high-end models. Last fall, we held a forum to discuss the importance of getting safety tech (like automatic emergency braking and collision avoidance systems) into passenger vehicles. It was a great discussion, and folks were amazed at how many vehicles lack these safety advancements. But safety technology isn’t just for passenger vehicles; it’s just as important for commercial vehicles, like heavy-duty trucks and semi-tractor trailers. Safety technologies are incorporated into commercial vehicles at a much lower rate than they are in passenger vehicles, yet when heavy-duty vehicles are involved in a crash, the damage is often more severe than what you see in a passenger vehicle crash. What’s more, although many commercial vehicles are being designed and built to accommodate the new safety technology, operators are not requesting the tech or installing it. Technology doesn’t replace the need for a safe driver, but, just like a seat belt, it acts as a secondary line of defense in case a crash does occur. We believe operators should include new safety tech in their vehicles just as they do seat belts, and we’re not the only ones who think that. Next week, we’re co-hosting an event with the National Safety Council that will bring together leaders from all related stakeholder groups to discuss technology in heavy-duty trucking and how we can increase adoption rates. Check out who’s coming to the roundtable and tune in to watch it online. 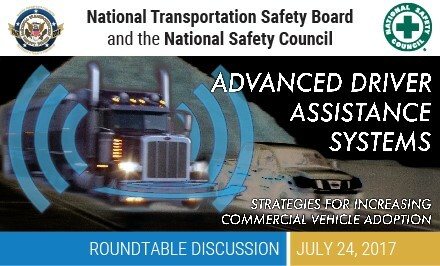 It’s going to be an informative afternoon, and I hope everyone walks away as excited about transportation safety tech as I am, with great ideas on how to use it to make heavy-duty vehicles safer. The school year has come to an end and summer vacation is in full swing! For many young people, summer vacation means summer jobs, trips away from home, and late nights with friends. It also means more time behind the wheel. As we embrace the excitement and freedom of summer, it’s also important to recognize that, for teens, it’s the beginning of the “100 Deadliest Days”—the driving season in which crashes involving teens ages 16 to 19 years old increase significantly. Youth drivers are getting behind the wheel with cellphones in hand or drowsy from long, summer nights. Our Most Wanted List strives to end alcohol and other drug impairment, distraction, and fatigue‑related accidents, and calls for stronger occupant protection; during the 100 Deadliest Days, young drivers are often faced with many of the challenges included on the Most Wanted List, which makes the collaboration between the NTSB and youth‑serving organizations so vital. It is imperative to engage in conversations with the young people who travel our roadways and discuss unsafe driving behaviors that could potentially impact their travels. Peer-to-peer programs have the power to influence meaningful change; youth are more likely to listen to and follow the example of their peers. We use our expertise in traffic safety and safety advocacy to enhance youth leaders’ traffic safety knowledge and support the work of peer-to-peer organizations dedicated to keeping youth safe on the roads. 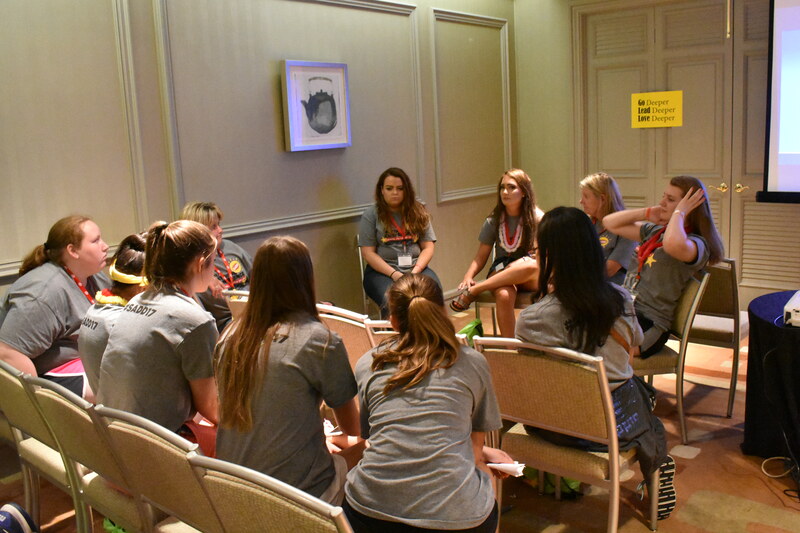 For example, we recently attended the Students Against Destructive Decisions (SADD) National Conference and the Family, Career, and Community Leaders of America (FCCLA) National Leadership Conference to inform young people about common driving dangers and discuss safe driving behaviors. spoke with us were simply inspired to help others and to make a difference, but others’ concerns were much more personal. Countless youth stopped by and shared stories of the tragedies that led them to take action—classmates, friends, sisters, fathers who had been killed in drowsy, impaired, and distracted driving crashes. Friends killed and permanently injured because they weren’t wearing their seat belts when they were involved in a crash. Mothers sharing stories of their children killed in crashes so that no other family would have to experience the same loss. and create change in their peers’ lives by setting a positive example. 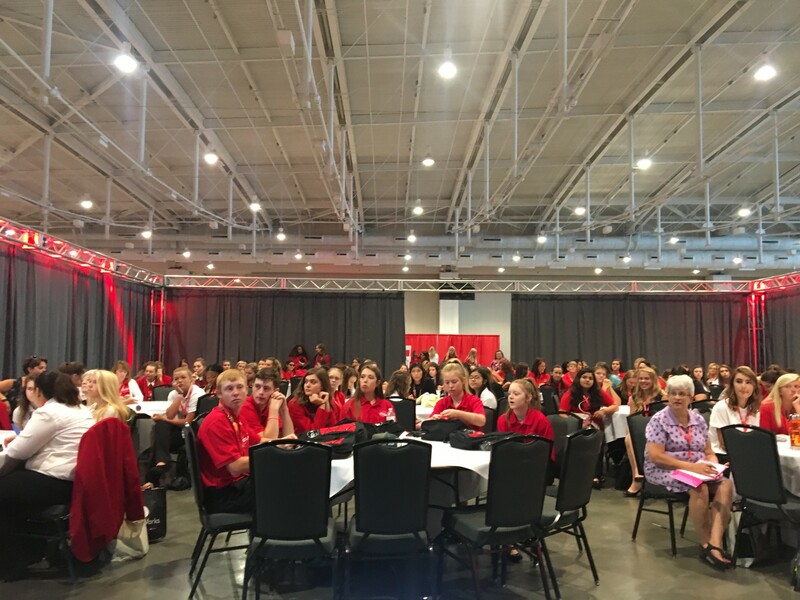 The knowledge gained from experiences like the SADD Conference and the FCCLA Conference allows youth to identify and advocate for the solutions that will prevent teen deaths. 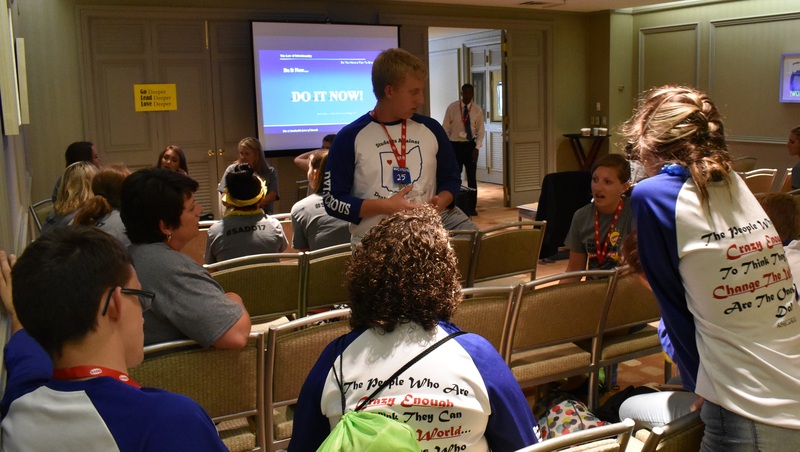 As youth entered the opening session of the SADD Conference, they were greeted by the song lyrics “This is gonna be the best day of my life.” For far too many youth, their lives will be cut short because of a crash during these 100 Deadliest Days. This summer, we encourage you to talk with the young people in your life to ensure that the best days of their life don’t end this summer.